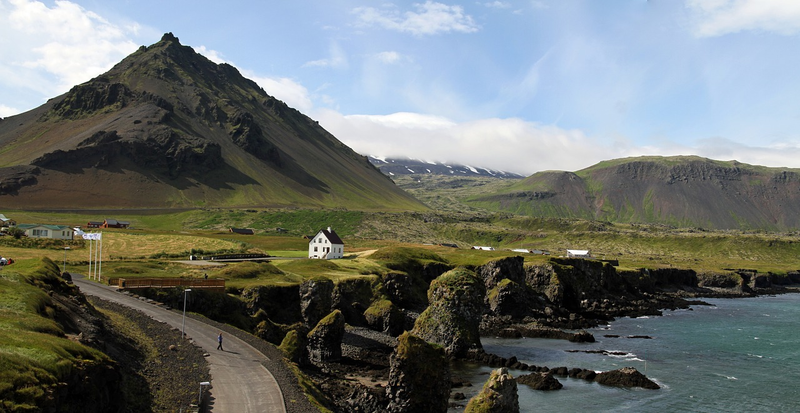 There are different ways to explore the country, but if you have time and really want to visit as many places in Iceland as possible, we would strongly recommend to rent a car and take Ring Road, a famous route across the country, that will cover most of the Icelandic treasures. Of course you will enjoy Iceland even if you stay in Reykjavik or will choose why of the regions to travel around. But this 1,332 km route will give you amazing opportunity to discover different parts of this beautiful country, from famous National park Þingvellir and stunning Gullfoss waterfall in the South to breathtaking Myvatn lake and ancient Lofthwllir cave in the North, from alluring forest Hallormsstaður and picturesque mountain Dyrfjöll in the East to dazzling waterfalls Hraunfossar and Barnafoss and gorgeous fjord Hvalfjordur in the West. What is great about renting a car, that it will give you a chance to modify your route during the trip. No matter how much time did you spend before your travelling to plan your route, sometimes you still will change your mind during the trip. Many people would suggest to spend more days in South and North Iceland, as majority of touristic spots can be found there. However, others will prefer East Iceland, which has less famous touristic places, but can be really inspiring. Driving a rental car will give you more space for changes, so you can have additional day in a place that you really enjoy! The great thing about driving in Iceland is that you can enjoy not only the place where you are intending to go, but also the view around. On your way, you will see small and charming waterfalls, bubbly lagoons and picturesque fields with sheep and horses. Just be careful and don’t forget to pay attention to the road! For more information, you can read our post on Tips for Driving in Iceland's Ring Road.